The Delfield DIS-1200-ET Even Temp heated drop in dish dispenser ensures your dishes stay warm for hungry customers while keeping them fully enclosed for optimum sanitation! Capable of holding plates ranging in diameter from 10 1/8" to 12", this unit is great for restaurants, buffets, and more! 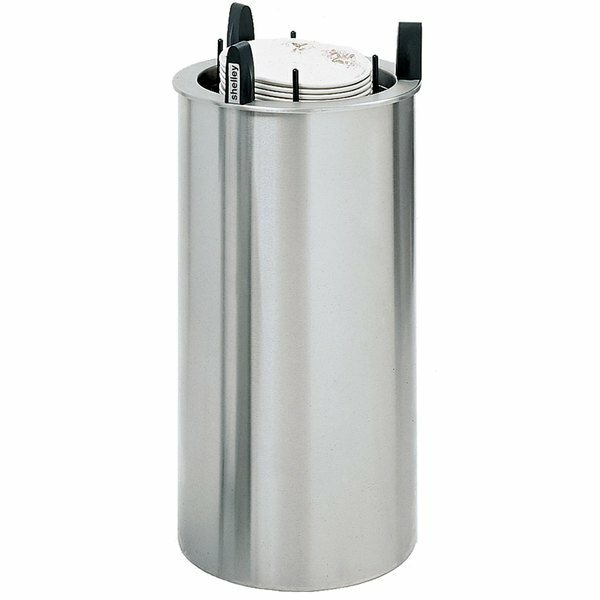 The Delfield DIS-1200-ET comes with a durable 22 gauge stainless steel outer jacket to protect your dishes from contaminants, and it can hold up to 72 dishes with a maximum stacking height of 24". It has three high-impact plastic guideposts, three vertical side channels, and a stainless steel bottom brace to provide additional stability, keeping your stacked dishware securely in place. Thanks to a 700 watt heating element, fan motor, and air intake filter, this dispenser can maintain temperatures between 120 and 140 degrees Fahrenheit, warming plates to keep customers' food hotter longer. The Delfield DIS-1200-ET requires 1" of bottom clearance for proper air circulation. This model also needs a 120V electrical connection for operation. Height (including guideposts): 31 5/8"